Barbara specialises in innovative methods for impact evaluation and mostly works as an independent researcher / consultant. She holds a (European) PhD in Socio-Economic and Statistical Studies (thesis in Evaluation Methodology) and a MSc in Social Statistics. She’s currently a part-time Research Fellow at the University of Surrey and a Research Associate at the University of East Anglia (formerly a Research Fellow at the Institute of Development Studies). 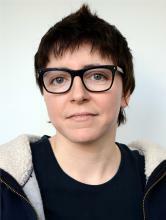 Barbara has ten years of experience in evaluation research, training and consultancy, her fields of expertise spanning set-theoretic and probabilistic approaches (QCA and Process Tracing / Bayesian Updating); methodological appropriateness, or criteria to select methods and approaches in impact evaluation designs; and models for causal analysis. She has recently started to explore the contribution of complexity science and systems thinking to impact evaluations and has an interest in the dynamics of cultural change and the micro-level manifestations of social privilege. As former Secretary General of the European Evaluation Society (EES) and scientific programme coordinator of the 12th EES biennial conference in 2016, Barbara is an active member of the global evaluation community and past or current member of the American, European, British, Swedish and Italian evaluation societies.